While many business philosophers claimed that we are living in the best times of the world, unfortunately modern workforce has been seeing the worse in the last few years. Data from various sources also predicting a bleak outlook and across the ocean ahead. That’s just a general feel, but if you are familiar with things on the ground there’s lots of hope to make it work especially for those in the modern workforce. You may have started to do something about it, but if you haven’t I would suggest you to seriously consider my suggestion – find a way to learn project management because it is the modern workforce imperative. Most of today’s organization do not rely so much on new information or new knowledge to thrive or grow their business. Most of us rely on doing more of the same as long as the customers don’t complain. Once a while, we add new things but that will only means new price increased and most customers don’t like it. Sometimes, in business we add new services by combining other services for example in an executive program I bundled together the premium access to library and journals as well as library membership. By bundling I give my client more services but if you look closely, I don’t change anything on the service. I just make it available right on time and deliver it just the way my customers want it. Well, this is only a simple example how one ways product features can be enhanced (not necessarily innovated). The buzz word of today’s organization including government, is innovation. What innovation means? Briefly, it means making new improvements from something current to satisfy new needs and new customers. If you are in a technology company, you may need to explore new ideas and technology frontiers, where real innovation is your everyday thing. Nonetheless, most innovations are either in incubation period, infancy stage or progressing stage that requires years of testing and trial before actually making it to the market and make a difference financially and impacting the bottom line. Hence, to keep the business afloat we need to learn to use and utilize our current resources and maximize the productivity and yield as much as possible. This require an impeccable project management skills and this can be learned; almost overnight. Project Management skill is one of modern workforce must-have skills. There are several paths to project management. The usual path is to take up proper certification programs from Project Management Institute (PMI) where you are likely to see PMP or APMG International where you are likely to see PRINCE2 certification. Lately there has been an influx of project management certification from Australia, IPMA and several more which I lost count. Secondly, you may choose to attend and participate in your own local provider to learn the fundamentals of project management. I think this is a good idea because in a 3-4 days you will get good overview and get to try out the hands on of building your project paper. Thirdly, you may opt to buy or print some books online and read them. Jot some notes and do some graphics for you to remember. Finally, which also a cheap way to get access to project management knowledge is by searching for online videos on project management. By all means, you must find a way to get yourself enrolled in either way. Project management mindset will take you very far in your career. I haven’t mentioned project leadership where you are taking charge of the project and lead your team including your project sponsor, user, director, and also opposition to achieve project goals. It is amazing that project management has developed to become an imperative skills in modern workforce but as someone who is growing up in organization and observing this phenomenon in fresh eyes, I have this to tell you, once again; do sign up for project management (choose one or two of the methods above). While it may take you a while, to get the hang of using the project management tools, you will get used to it after managing 2-3 real projects. The very reason I say this because a lot of times in organization including in government find difficulties in implementation and executing the projects they have discussed. Often it gets stuck in the middle and then lost in vacuum because they are no takers who can pick this up and manage it in a manner that is both satisfying for the stakeholders. As a project manager, our role is to ensure we achieve the projects’ objectives and we do this by working through and with other people. It is an interesting role and it is still in high growth stage. I don’t want to bore you with the statistics, but if you are looking for one just Google them because there are plenty of them the last 2-3 years. You also can learn some hands on experience by organizing events for your company or friend’s, involve yourself in social programs where you volunteer to become the committee member, actively seek for internship, enroll in dinner & dance party or simply create a project of your own and get others to join you. 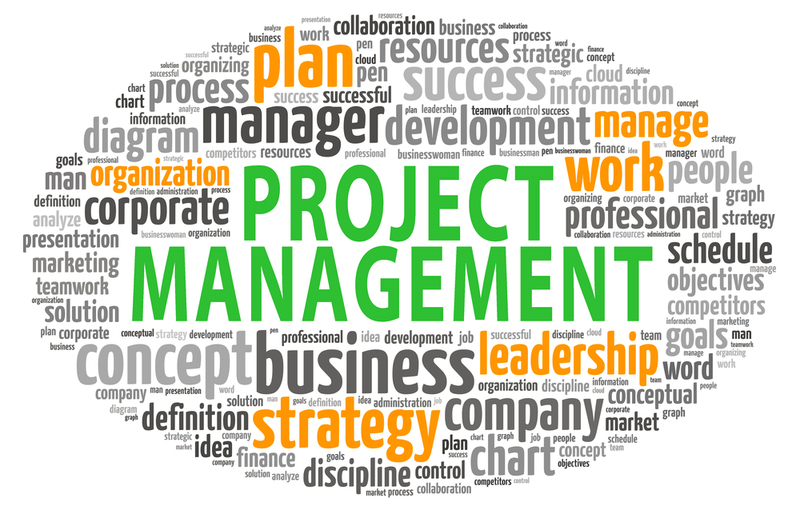 There are many ways, but the point is to get yourself learn the project management skills. I recently had a project management session with my client, and I have been seeing this development where organizations are in dire state looking for more project managers. Not necessarily with certification, by all means if you have the funds go get the certification but if you don’t, never stop your learning there. Find other ways.